and were made by the Intervention Review Group. 4. Your beliefs, norms and information – do they reflect reality? The student’s workbook, newly developed, is intended as a personal workbook of the student, and contains activities that students are to work through during the Unplugged units. Apart from the revision of the Unplugged materials, a new appealing graphic version was developed, and the new program, together with the student workbook and the cards, is freely available. The Unplugged Curriculum has been tested to be effective during the EU-Dap intervention trial. Based on the evaluation, it is now available in its revised version. This programme is for students between the ages of 12 and 14 and is to be led by trained teachers. 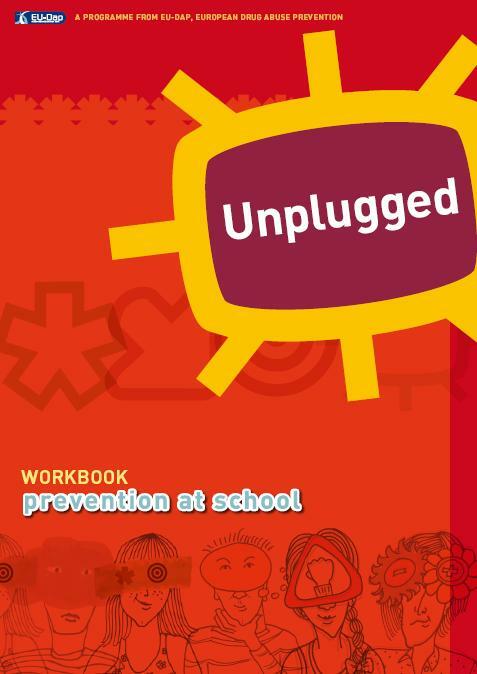 The Student's Workbook complements the Unplugged Curriculum. 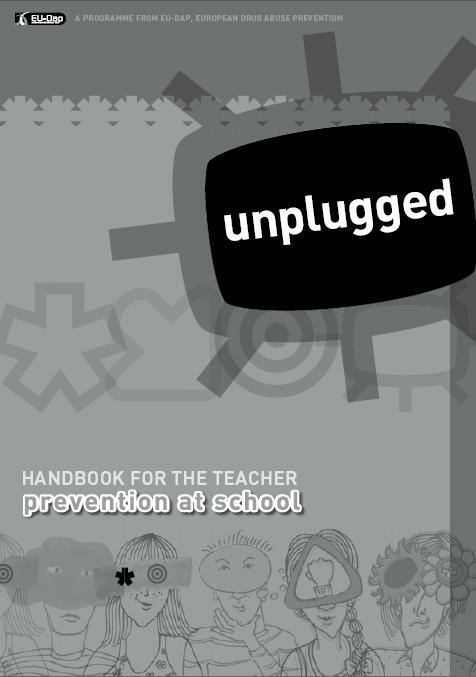 It contains activities that students are to work through during the Unplugged lessons. Based on the EU-Dap evaluation, we recommend that teachers attend a Training for Teachers before using the free material. In Presentation page new posters and presentations are available. In Publications page a new paper published "The theoretical model of the school-based prevention programme Unplugged". In UNPLUGGED Area: New Education Materials available for Spain. In Education Material Reserved Area updated versions of Parent's Workshop, Teacher's Handbook, Student's Workbook and Cards available for UNODC ROMENA / Mentor Arabia. New links and contacts added.